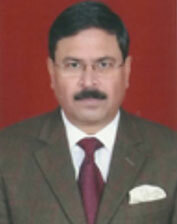 He is PSC, HC, NDC, MPhil (Twice), and PGDM. His prestigious Command and Staff assignments include, Senior Faculty Member at NDC, New Delhi; Command of a Mountain Division, BGS of a Corps, Principal Director Net Assessment, Defence Attaché in Central Asia and UN Military Observer in Central America. He specializes in Strategic Net Assessment, Scenario Building and Strategic Gaming. He writes for professional journals and participates in national and international events. Her academic qualification includes BSc, MA and PhD. Her area of interests is strategic issues particularly Nuclear Strategy, Nuclear profile of Nuclear Weapon States, Armament, Disarmament, Niche technologies etc. She has authored and edited books, monographs, occasional papers namely, “Complexities and Challenges of Nuclear India”, “The Indo-Pacific Region: Security Dynamics & Challenges”, “Iranian Nuclear Conundrum”, etc. She has been a panellist in various national and international panel discussions and a guest speaker at Air War College, Hyderabad, Southern Naval command, Kochi, OP Jindal Global University, etc. 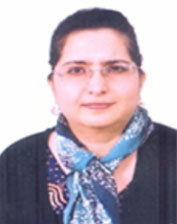 She was the member of the study team which did the Net Assessment on China, South Asia, Pakistan, etc for HQIDS. He is PSC, HC, and NDC. He is a former DG Perspective Planning and GoC of a Corps. He has two Masters Degrees, one in Strategic Studies from Madras University and the other in Defence Analysis from The Naval Postgraduate School, Monterey, California. His focal areas of interest are Pakistan, multi-domain warfare, military strategy and military history. He was at the Army HQ the GOC of a Mountain Division in the North East, and as the ADGMO (B) at the Army HQ. 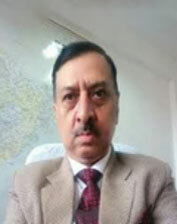 He has served as the DA in the Indian Embassy in Dushanbe, Tajikistan. His interests include geopolitics, China, military strategy, force structuring, capability development and military echnology. 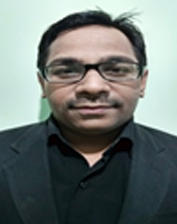 He has written numerous articles for various magazine and journals. He is Psc, HDMC, NDC. He was the first Chief of Staff of the Mountain Strike Corps. He commanded, raised division in Arunachal Pradesh. He was SDS at the NDC. He served in DRDO on project to develop computer war games for the Army. He attended courses on Politics and Strategic Affairs in Brazil in 2006. He is Psc and HC. He has done his M. Phil in Strategic Studies from Punjab University. He has also done SMERCH Weapon System Battery Commander course from Mikhailoskaya Artillery Academy, Saint Petersburg, Russia. He served as Col GS of an infantry division. He is working on a project “Pakistan’s Internal Security Challenges and the Army’s Ability to Overcome Them,” at the USI. He is a Psc officer. He was awarded Lengtaign Medal for writing the best dissertation during the course. He holds post graduate degrees in Weapon Technology and Strategic and Defence Studies from Pune University and Madras University respectively. He has done his M. Phil in Defence and National Security studies from Punjab University. 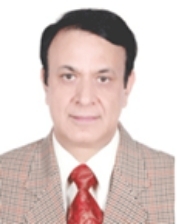 Currently he is a Senior Research Fellow with the USI of India. He is working on a project “China’s Military Reforms and its Impact on HRD and Lessons for India,” at the USI. He was commissioned into the Electrical Branch of the Indian Navy. The officer has served on board frontline warships (Indian Naval Ships Ranjit, Tabar, Trishul and Talwar), Naval Dockyard/WECORS and WESEE. He has post graduate degrees in Signal Processing and International Relations. His research interests include international relations, maritime security and cyber security. He is working on a project “Maritime Corridors in the Indo-Pacific: Geo-political Implications for India,” at the USI.